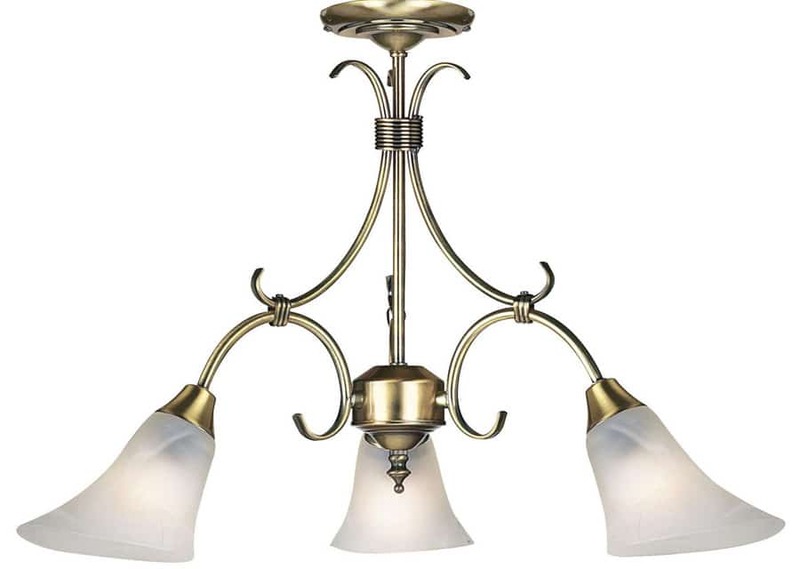 This Hardwick antique brass finish 3 lamp dual mount ceiling light is traditional and can be mounted as a semi-flush in rooms with a low ceiling or as a pendant light using the supplied chain suspension. Featuring central drop rod and curved section arms, with downward facing fluted frosted alabaster glass shades. A classic ceiling light that gives a soft light through the shades and is suitable for modern and traditional settings. 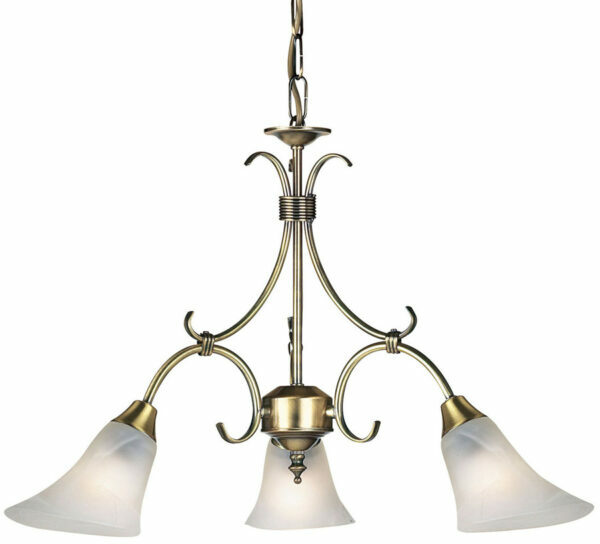 The soft antique brass finish complements the alabaster shades making this light perfect for any room and particularly suited to installation on a dining room, bedroom, hallway or living room ceiling. There are coordinated fittings in the antique brass Hardwick range that includes a five-light dual mount ceiling light and switched twin wall light; please see below. Manufactured by Endon Lighting, a design led business who lead the way in style and innovation to create an impressive range of products such as the Hardwick antique brass finish 3 lamp dual mount ceiling light you see here.